Across Arizona Tours offers a perfect sightseeing trip to amazing attractions including the beautiful Red Rock country of northern Arizona. You'll experience the mystical and dramatic Red Rocks of Sedona, the cultural significance of Montezuma Castle, and step back in time in the mining town of Jerome. Tours to Sedona, Jerome and Montezuma Castle depart every day. Tours leave Phoenix, Scottsdale, Tempe and Mesa between 6:30 am and 7:30 am and return between 5:00 pm and 6:00 pm. 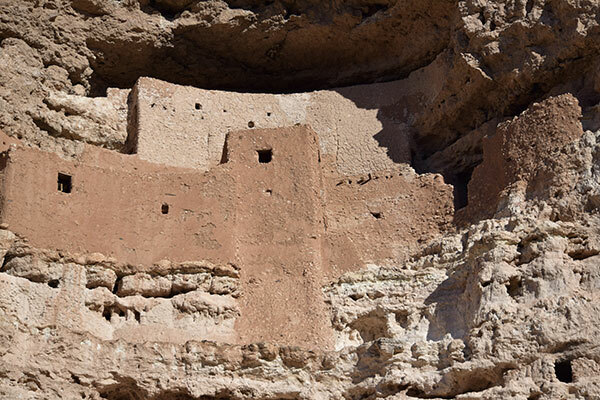 We'll start the trip up the I-17 through the high plateaus en-route to Montezuma Castle National Monument. Next, we take the short ride to Sedona for sightseeing and shopping, and wrap up the day in the historic mining community of Jerome.